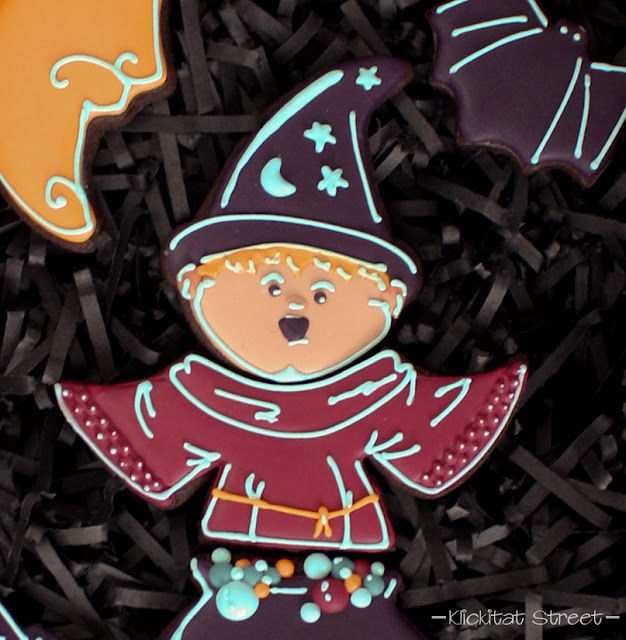 One of my favorite parts of cookie decorating is playing around with the different shapes. Sometimes when I see something unexpected in a cookie cutter shape I literally squeal with delight. Lately, I've been playing with the idea of combining several cookies into a large picture like a cookie puzzle. I've seen several cookie artists make sets like these so I had to try it. I found inspiration from East Coast cookies, Montreal Confections and SweetSugarBelle for these cookies. 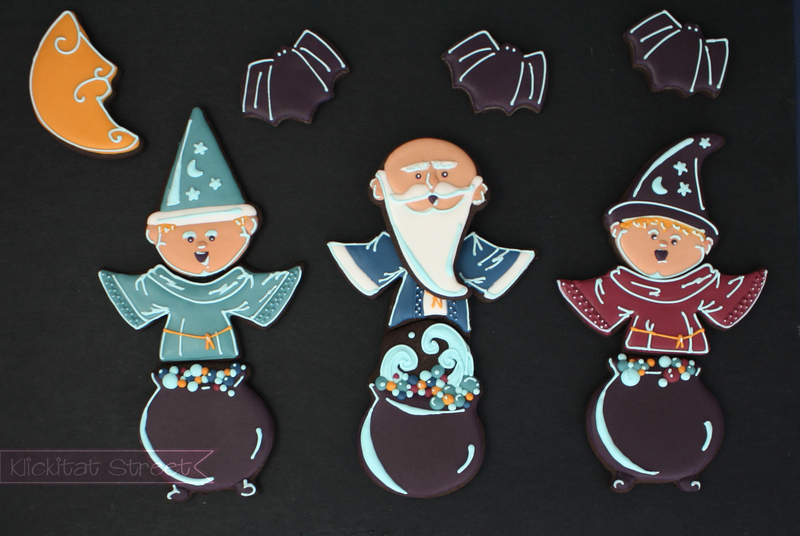 If I added all the detail of the boy wizards with their cauldrons on one cookie it would have been far too complicated. By splitting the wizard into three regular sized cookies I can add detail and still have fairly basic cookies. Plus which, a set like this would make an excellent gift box! 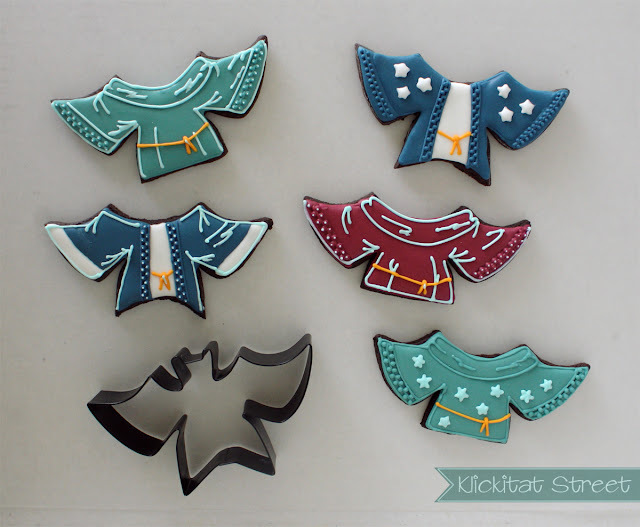 It was this bat cookie cutter from the Halloween department at JoAnn fabric that started me thinking about wizard cookies because I could see it as a cloak. 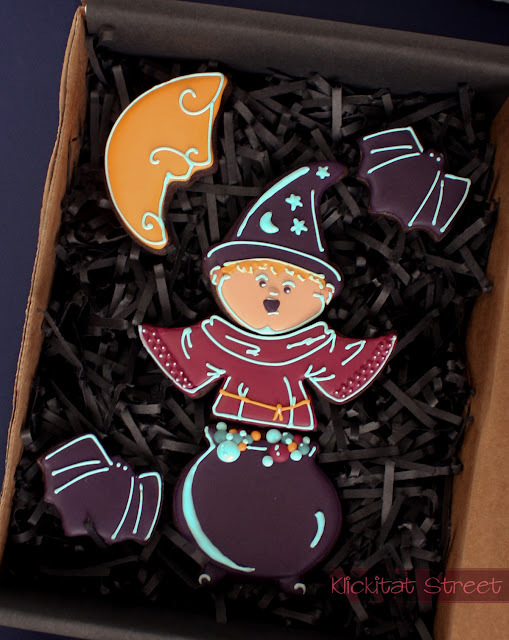 I used a face cutter to trim the top of the shape and a cauldron cutter to trim the bottom so that the cookie puzzle would fit together. Chocolate roll out cookies don't usually spread so I didn't have to worry about them not fitting together after they were baked. I used an ice cream cone cookie cutter to cut all of the heads and to trim the cloaks. For the old wizard and the apprentices I lifted the point of the cone and gently curved it to the side before baking. If the dough is cold or stiff it may crack along the curved edge, but you can smooth it back together with your fingers. 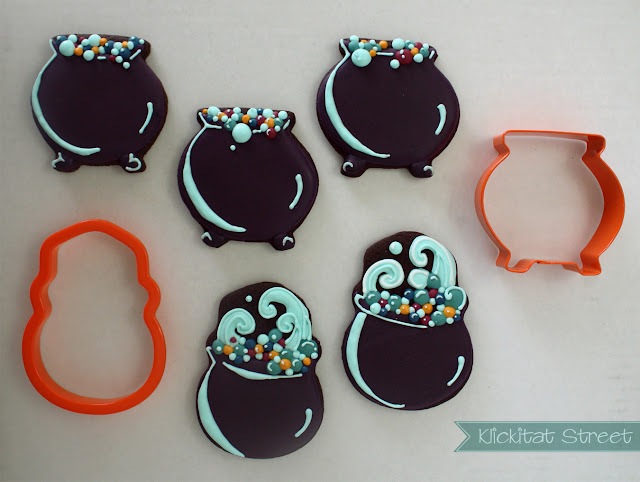 For the cauldron cookies I used...a cauldron! 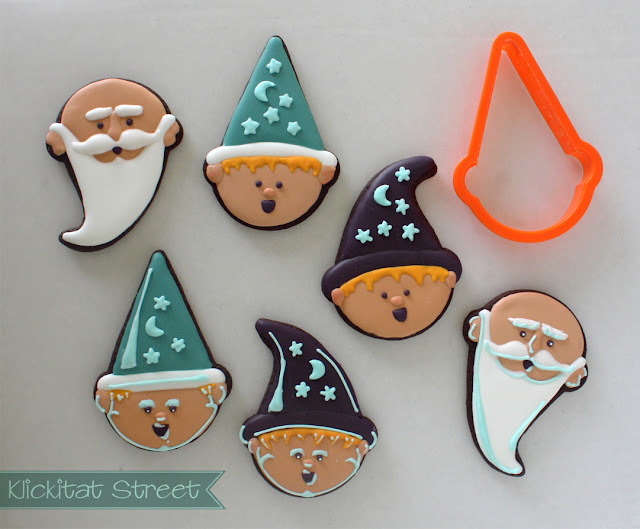 Every cookie doesn't have to be made from an unusual cutter. Use what works! I also used a skull cutter for some of the cauldrons because I wanted to be able to add vapor wisps and there isn't room for that on the basic cauldron. I wanted to make the cookies look like the wizards were peering into a glowing cauldron so I added a pale blue highlight to the underside of all the planes facing the light. The chin, lip, bottom of the nose and the eye sockets all light up when the light is coming from below. I also added the "light" to the cloaks to hightligh the drape of the fabric. 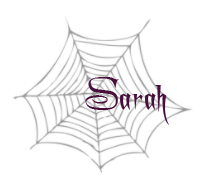 What do you think does this effect work? Personally, I think it's pretty cool. I photographed a few of the cookies without adding the blue piping details for comparison.. I think both ways are very cute, but I like the pop the electric blue gives the cookies. I think the idea of the mood lighting works best when the cookie puzzles are assembled so you can get the whole idea. If these were just being arranged on a platter I might not include the dramatic light in the piping detail. 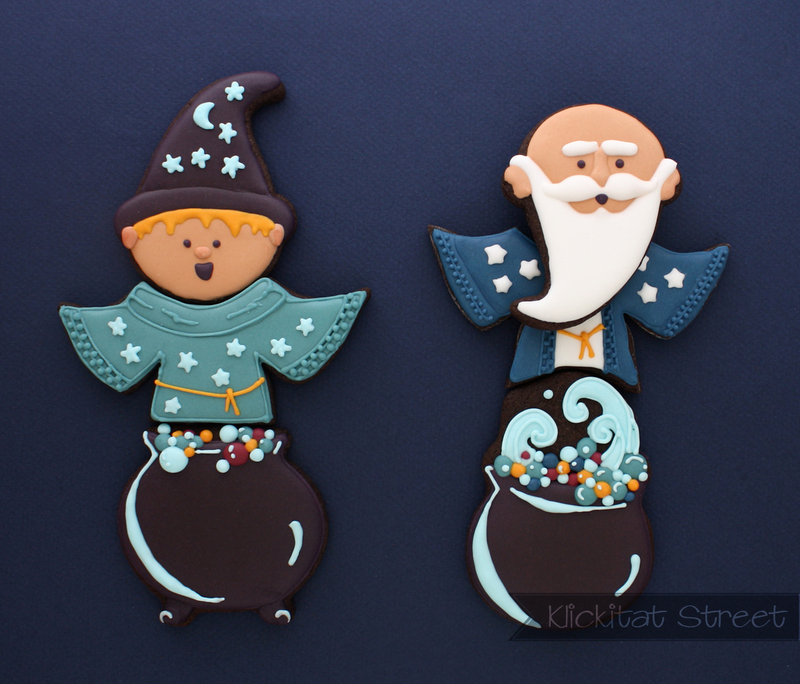 These wizards are definitely my favorite cookies I've made to date! From the conception to the finish I had so much fun with them. I hope you like them too! Ack! The blue accent so makes them look like they are glowing! Adorable...I envy people that can really think outside the box...or in this case, the cookie cutter!
) the only thing that gets me is that it is a blue ish color, Wizard101and i would have thought of darkmoor as like dragonsypre black. Anyone can relate? I really hope i'm right and it is dm, but i think it's very unlikely that we will return to celestia. maybe to repair the door, but not for the final fight.